So, you want to buy a Kentucky house cheap, and you look to the foreclosure market. Considering the over-abundance of these properties in Vine Grove, Elizabethtown, and Bardstown, and just how little many of them are going for, it’s tempting to jump on the bandwagon and buy up. And it may pay off as a long-term investment. But, like any other major purchase, you should know as much as you can about a property before you buy it, which is why home inspections, performed by Certified Master Inspector, are necessary. Unfortunately, many real estate agents, who don’t like bargaining with banks, are advising clients that home inspections are of no value as a bargaining tool, since banks don’t negotiate on “as is” properties. As an added disincentive, banks selling properties “as is” have no legal responsibility for any lurking defects. While the agent’s advice to forgo an inspection as a means to negotiate on the price may be logical, it is startlingly counter-intuitive, and possibly even negligent. Would you buy a car without knowing whether it has a transmission? The same premise holds true for a house, regardless of whether you intend to live in it, or fix it and flip it. The Realtor may be trying to salvage a deal that could possibly be scrapped if an inspector uncovers damage that the bank is unwilling to pay for, and you, as the buyer, have to realize that the agent’s advice is not in your best interest. In this case, they’re putting you at risk in order to ensure they get their commission. Any Realtor advising against an inspection on a foreclosure (or neglecting to recommend that one be performed) is ignoring the likelihood that, long before the previous owners stopped making mortgage payments, they deferred required maintenance tasks. Moisture intrusion leading to leaks and mold are just a few of the major problems commonly found by inspectors in foreclosed properties. Tales abound of bizarre discoveries in abandoned properties, from wild boars to colossal bees nests. Former owners may loot their own properties, taking with them anything they can pry up or unscrew, and leave behind trash and junk that you have to pay for to have removed. There are also stories of foreclosed properties that have been intentionally vandalized by their former owners in acts of retaliation against their banks. In one infamous case in early 2010, an Ohioan bulldozed his $250,000 home after the IRS placed liens on his carpet store, and then threatened to take his house. The damage done by the owner was apparent, but there are probably less extreme situations where the damage isn’t as obvious, making a home inspection of utmost priority. You should always get a home inspection before buying a property, especially when you’re buying a bank-owned foreclosure. In such cases, it may be impossible to find out how well the home was cared for, or whether major damage was done right before the past owners left the property. Ask the bank how much time you have after your initial offer to have an inspection performed, and schedule one immediately. If it goes well, you’ll enter into the deal with peace of mind and a better idea of what repairs you’ll have to deal with. That alone is worth the price of an inspection. If the inspection reveals a costly disaster, you can back out of the deal and save tens or even hundreds of thousands of dollars. 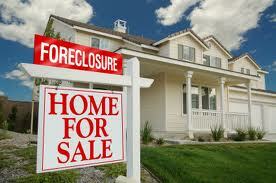 We perform foreclosure inspections in Elizabethtown, Bardstown, Vine Grove, and surrounding areas on a regular basis.